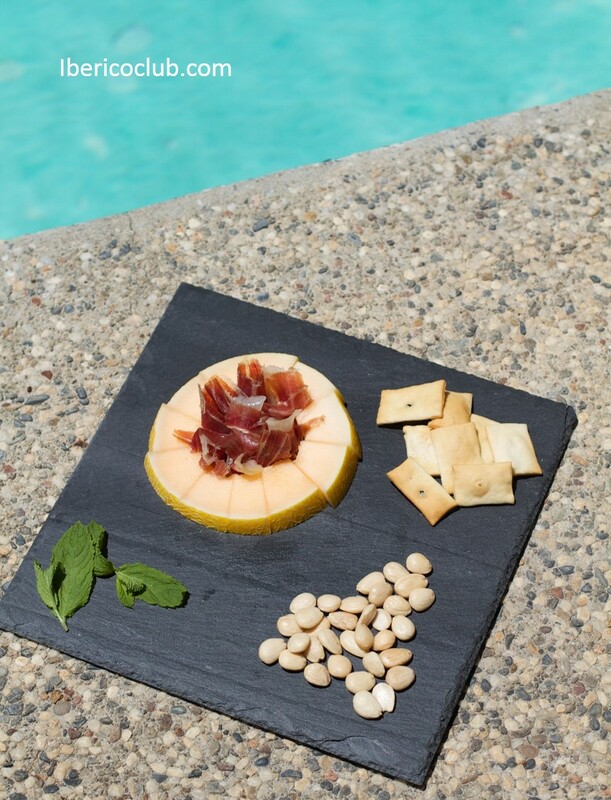 Fresh Melon with Jamón Ibérico de Bellota. The Best Summer Treat! You can use different types of melons. For today’s post we’ve used Cantaloupe melon, but in Spain you will see most of the people using Santa Claus melon (Piel de Sapo). 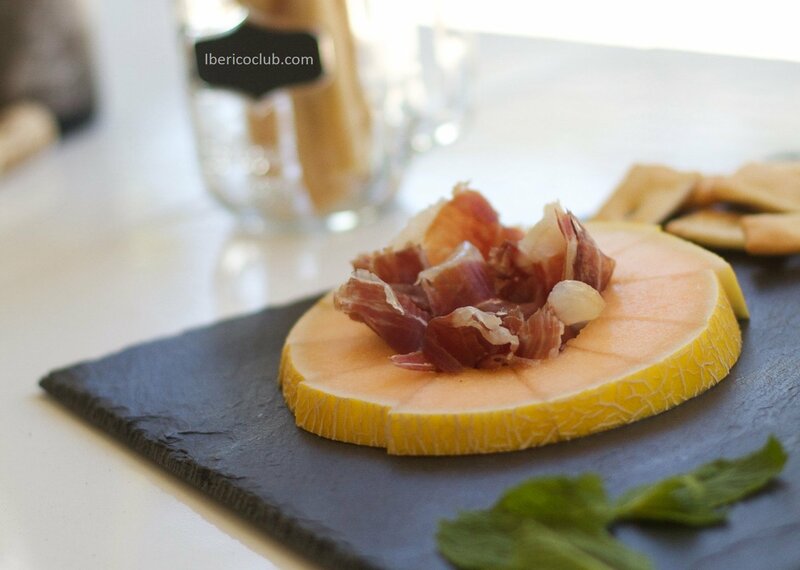 Anyway the Ibérico Ham and melon combination is fresh, delicate, tasty, and more than easy to prepare. 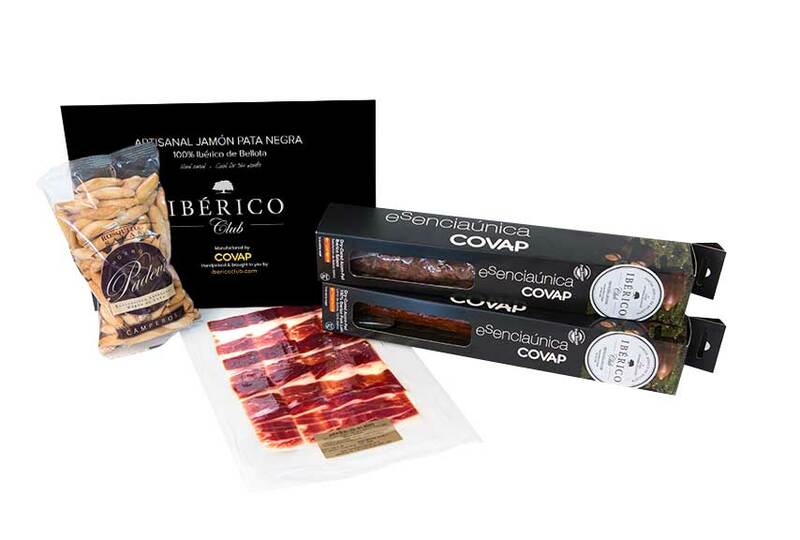 You’ve got to try it, but make sure that you use a very good Jamón Ibérico de Bellota (Ibericoclub.com). 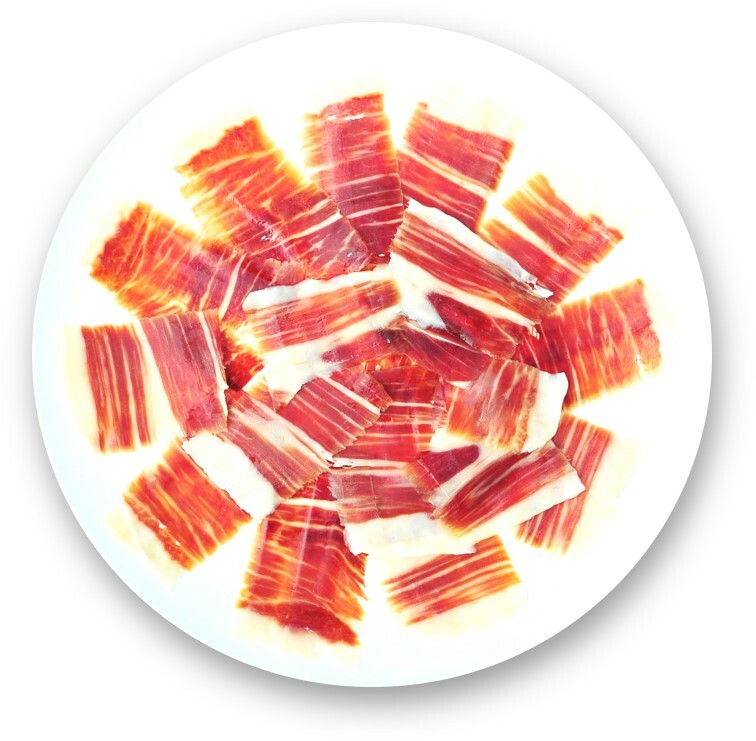 You can prepare this appetizer in a hundred different ways and with different presentations. We started by slicing the Cantaloupe melon in order to have the round section with the hole in the middle. After that we cleaned the melon seeds from the center hole. Once we have the round melon slices we cut them into bite size pieces. You don’t even need to peel the melon! 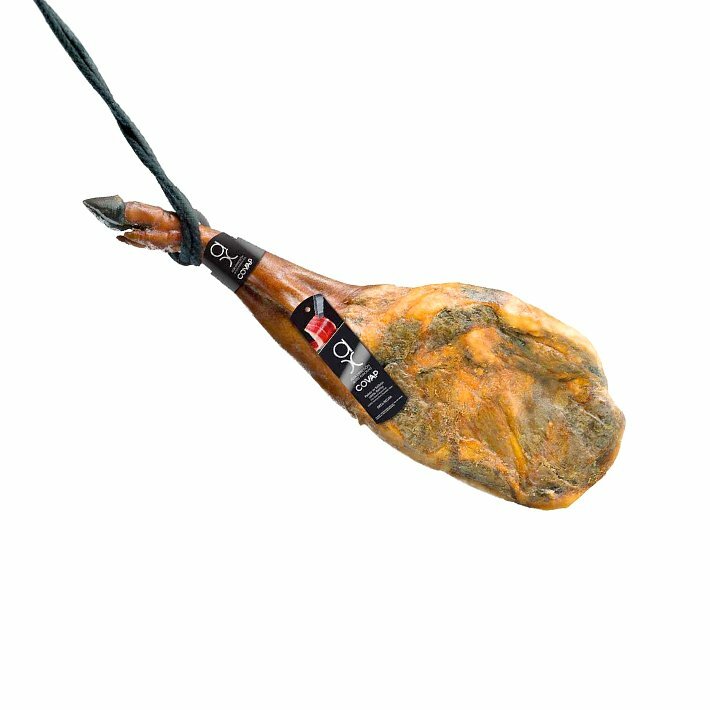 Then put some of the best Jamón Ibérico de Bellota in the center and you’re ready to taste an incredible sweet and savor combination. 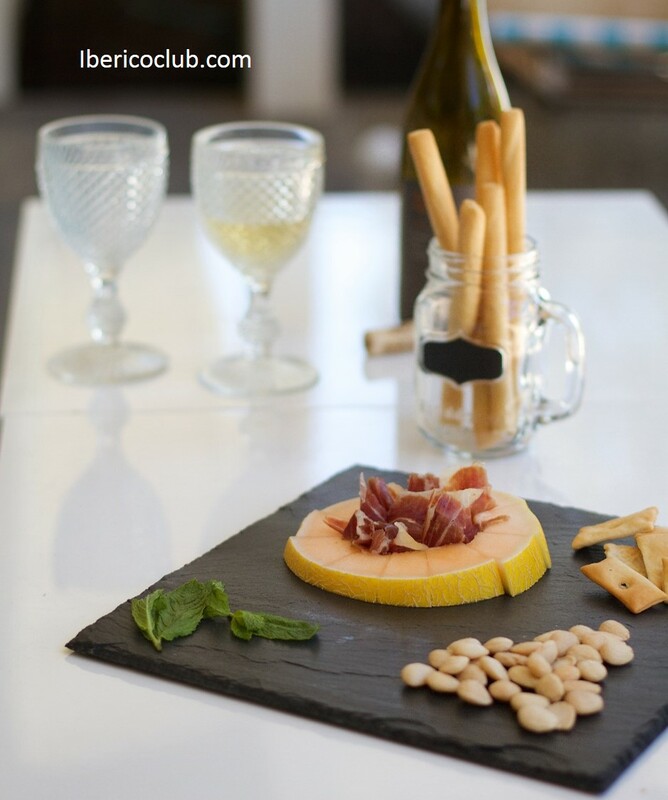 For the presentation you can use some small crackers, marcona tosated almonds, and maybe some mint leaves. 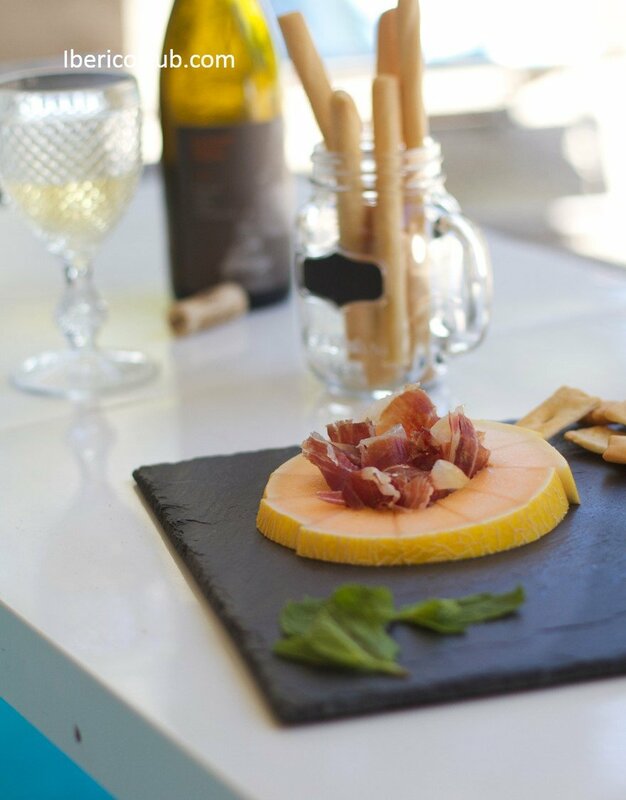 Pairs good with a fresh white wine from Napa Valley. We paired it with a beautiful Sauvignon Blanc from Bluxome Street Winery. Delicious! 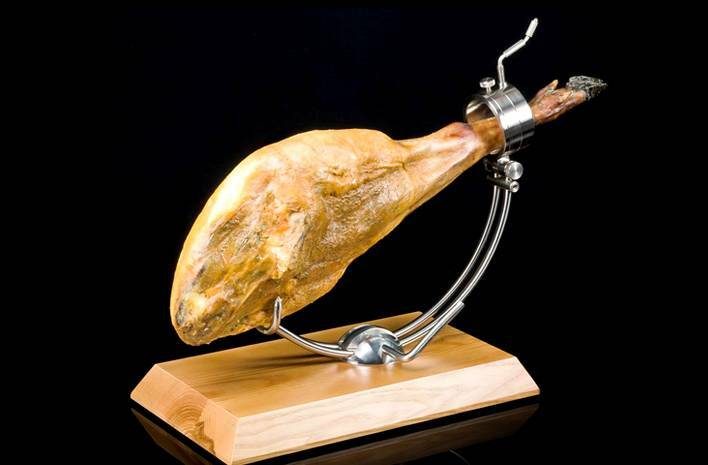 As always, remember to get the finest ham in the world at www.ibericoclub.com !! 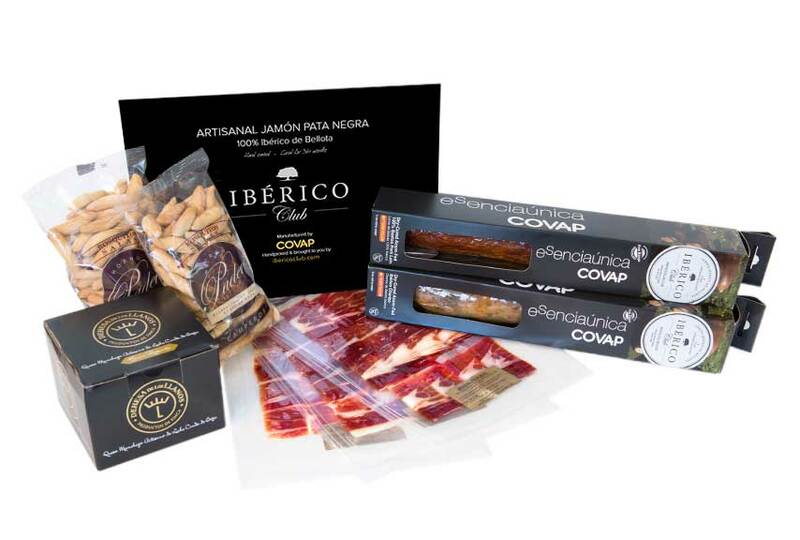 2.5 oz package of Hand Carved Jamón 100% Ibérico de Bellota "Pata Negra"
Whole Paleta 100% Ibérico de Bellota (10lb) + Carving Kit "Best in the USA"